A former FBI special agent for more than 30 years, Chris is a licensed Certified Fraud Examiner and an honored and respected investigative agent across the country. In addition to his investigative skills, Chris has passed all parts of the Certified Public Accounting (CPA) examination. His broad base of experience includes complicated multi-national, national and regional criminal investigations with an emphasis in white-collar and financial crime, public corruption, health care fraud, organized crime, money laundering, criminal enterprise investigations and civil rights. Chris has testified and provided litigation support in dozens of federal and state criminal trials and has presented grand jury testimony and summary case presentations in more than 50 investigations throughout five judicial districts. His significant litigation experience also included serving as the lead case agent for trial preparations, exhibit development, witness preparations and expert summary testimony. He has also served as trainer for the FBI and developed and presented complex case briefings for executive law enforcement officials. While at the FBI, Chris had Top Secret/SCI national security clearance and served as a certified hostage negotiator. As a Supervisory Special Agent, Chris directly oversaw and managed the programs responsible for long-term investigations utilizing sophisticated investigative techniques to identify, disrupt and dismantle criminal threats posing significant national and local community risk. In this role, he built significant relationships with senior law enforcement officials, as well as political, community and business leaders throughout the country. 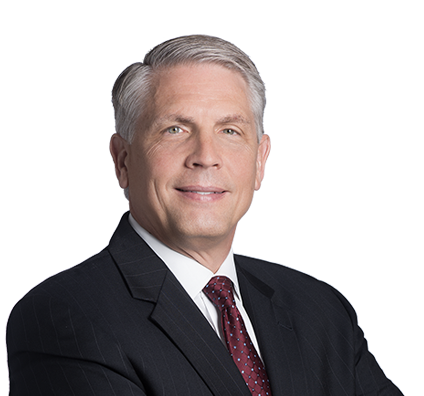 In private practice, Chris partners with attorneys on Husch Blackwell’s Government Compliance, Investigations & Litigation team to investigate both criminal and civil matters and leads internal investigations on behalf of companies and healthcare entities. Participated and managed numerous domestic internal investigations for publicly-traded and privately held companies in a variety of industries, including agriculture, healthcare, manufacturing, transportation, education, and construction. Also participated and managed internal investigations in the areas of healthcare fraud, employee misconduct, data breaches and environmental violations. Conducted an FCPA investigation and government compliance for a global financial services company involving allegations of bribery to middle-eastern officials.